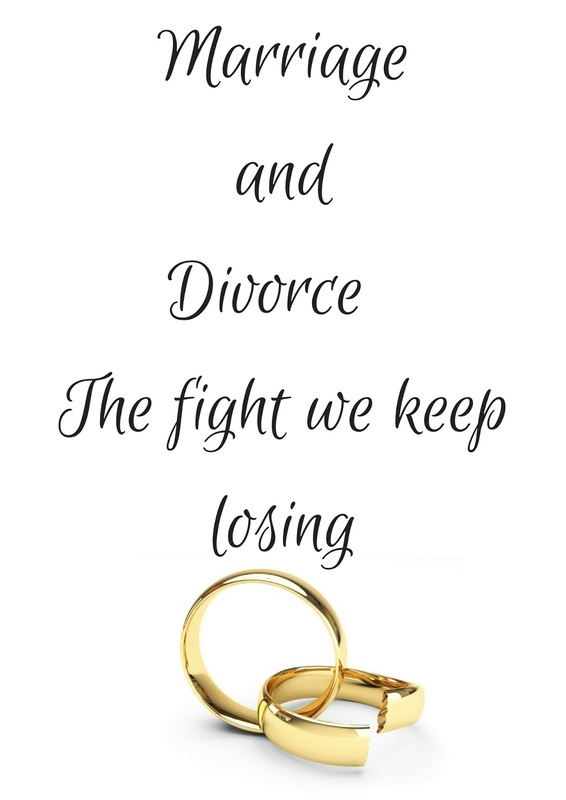 Divorce is a sensitive subject for me, I have a lot to say about it but I don't (maybe one day I will) because it rubs me the wrong way. I haven't thought about divorce in a long time, I've resume my life, got adapted to my new normal and pretty much forgot my former life. Until I came across the story of a prominent, well respected Christian woman that I admire so much. Lysa Terkeurst divorce announcement feels like a punch in the gut. Reading her story is like remove her name and slap mine and the story doesn't change. Why is that? Why are all of us keep falling in the same trap. More importantly why is this keep happening to us Christian. Aren't we supposed to be a light of the world? We're supposed to show them the way... How are we supposed to do if we can't even keep our own lives together? I obviously do not have the answer... being divorced myself. God created man and woman and He had a wedding! This is a picture of God's love, a reflection of the kind of intimacy he desire to have with us. But how how we supposed to diplay that picture with 50% of our marriages ending in divorce? If I learn anything from binge watching criminal and law shows, is that the defense best move is to discredit the witness. God call us to be witness and the enemy makes it really hard for us to witness when our lives is in shambles. I mourned for yet another marriage bites the dust. I stand believing He who began a good work in us will be faithful to complete it. This is a great subject to debate but we are all susceptible to it. I think the only good thing we can do is surrendering our scars and hurt to the Lord and allow Him to touch us right where we are hurting. Encounter with Him and trust him for healing. God bless you sis!!! It is heartbreaking! Going through a divorce now with the love of my life. Trying to feel God's love during this time takes faith. I know he wants us all to be happy. I will get there. We all will if we trust in Him. Love always!